Rebecca’s busy this week, probably doing something super rad or foiling some evil plot, so I’ve temporarily taken over this column. And by temporarily, I mean just for today. Here’s a look at my week in reading, which by the way, has been made especially awesome thanks to the great weather we’ve been having in Miami. It’s so breezy these days! 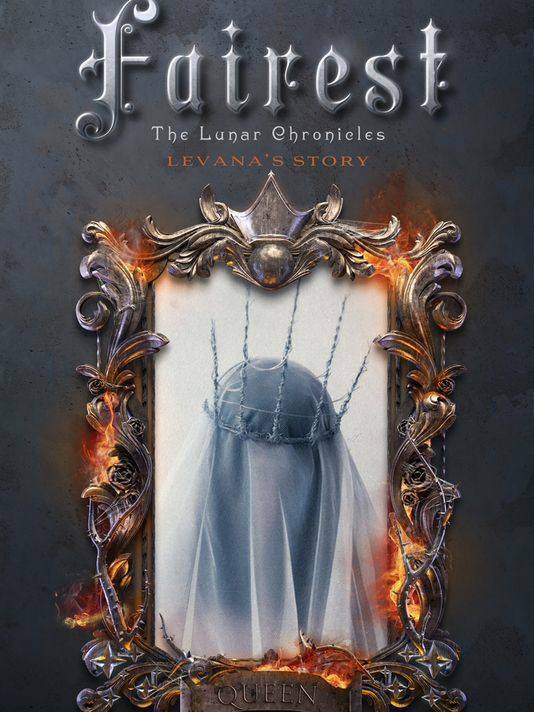 Fairest (Lunar Chronicles Series) by Marissa Meyer – I am absolutely enthralled by this series, and I’m so glad the author has gone and written a tie-in. Fairy Tale retellings are so my jam, as is steampunk, so the combination is pretty rad here. For the unfamiliar, Fairest is inspired by the story of the Evil Queen (Snow White’s stepmother). In this book, you get one character’s background story: Levana, queen of the moon, who uses fear and her glamour powers to maintain control of her people. She appears in all of the main books of the Lunar Chronicles series. The Unnaturalists by Tiffany Trent – I picked this up for three reasons. First, the cover looks great because there’s this badass lady on it superimposed over steampunk London. Second, because Ellen Kushner blurbed it (your opinion on blurbage may vary, but some names just stick out). And third, because there’s steampunk and science and magic all rolled into one adventure, if the summary/copy is to be believed. I like all of these things. 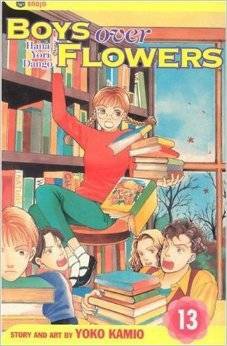 Hana Yori Dango (Boys Over Flowers) volume 13 by Yoko Kamio – I’ve been working my way through this series for a while. At first, I read it slowly, but now I’m hooked. It’s an adorable school life-slash-teen romance story about, well, being a teenager, and growing up, and all the complications of high school society. In this series, the main character (Tsukushi) is poor but is accepted to an elite high school for rich kiddos. So not only is she navigating high school, she’s a fish out of water among her classmates. She attracts the attention of the “F4,” or the top dogs of her school, and her life will simply never be the same. Read if you like gutsy heroines. Batman: Mad Love and Other Stories by Paul Dini, Bruce Timm, and others – This book isn’t really about Batman, but rather a selection of his villains. The main story is about Harley Quinn and how she came to align herself with Joker, but there are stories in there featuring Scarecrow, Catwoman, Two-Face, Poison Ivy, and others. Great for fans of the Animated Series, great for fans of Batman in general, great for fans of villains and side characters. 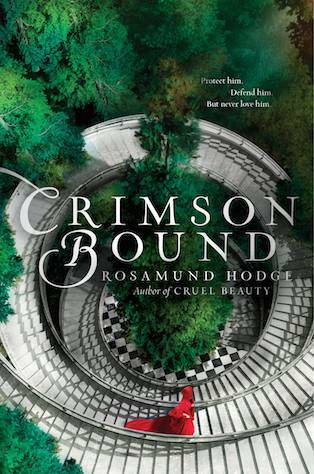 Crimson Bound by Rosamund Hodge – I read and loved Hodge’s first book, Cruel Beauty, which was a retelling of Beauty and the Beast. This second book is a retelling of Red Riding Hood, and it’s been sitting on my shelf since it was released earlier this year. In this story, Rachelle is searching for a legendary sword that can help her save the world, and fighting monsters, and also falling in love probably. X: A Novel by Ilyasah Shabazz, Daughter of Malcolm X with Kekla Magoon – Though this is a novel, it’s based on actual events of the life of Malcolm X, and presents a story of his childhood and early years. It’s been on my radar for a long time, and now is when I’m finally getting around to reading it. I particularly love that the author is his daughter. How’s your week in reading?